Johnny Knoxville and Bam Margera were among hundreds of mourners who gathered Wednesday to pay respects to Jackass star Ryan Dunn. The private memorial service was held at a West Chester, Pennsylvania funeral home. 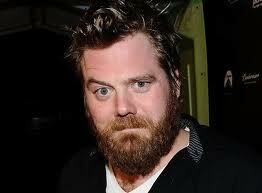 Dunn starred on all three seasons of “Jackass” with Knoxville, Margera and Steve O. 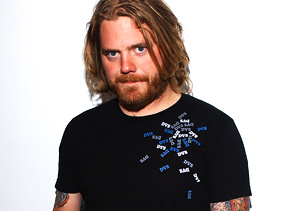 He also appeared in the three “Jackass” films, the most recent being 2010’s “Jackass 3D.” After MTV canceled “Jackass” in 2002, Dunn and Margera appeared in the spin-off show “Viva La Bam.” Dunn later landed his own show, “Homewrecker.” It was canceled after just one season. Dunn most recently appeared alongside Steve O on “Minute to Win It. The accident occurred around 3 a.m. Monday on Route 322. Just hours before the car accident Dunn Tweeted a picture of himself drinking with friends at a bar. 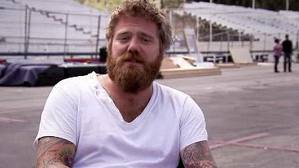 Ryan Dunn, the 34-year-old “Jackass” star, died in a fatal car crash on Sunday night in Pennsylvania, MTV News confirmed Monday (June 20). According to police, the accident occurred at 3 a.m. on Route 322 and New Street in West Goshen Township. While it’s unknown who was driving at the time, an unidentified passenger also died in the crash. April Margera, the mother of Dunn’s “Jackass” co-star Bam, broke the news to WMMR 93.3’s “Preston and Steve” radio show.